The age of biologically engineered humans has arrived. While the middle part of the 20th century saw the world’s superpowers racing to explore space, the first global competition of this century is being set in a much smaller arena: our DNA. This month, Chinese scientists announced that they have tested the CRISPR gene-editing technique on a human for the first time, and the race is on to hone the new technology. “I think this is going to trigger ‘Sputnik 2.0’, a biomedical duel on progress between China and the United States,” Carl June, immunotherapy specialist at the University of Pennsylvania in Philadelphia, told Nature. But while anyone with a view of the night sky could tell you what the Moon was when Neil Armstrong took his one small step on it back in 1969, not everyone has heard of CRISPR, and even fewer people understand how it works or why it’s so important. Even if it’s been a while since your last biology class, you likely know that most living organisms possess DNA. These little strands of molecules contain all of our genetic information. They determine what we look like, how our bodies function, and everything else that makes a living thing what it is. Since the 1970s, scientists have been exploring ways to manipulate DNA. They’ve learned how to cut bits out, put chunks of code in, and generally rework these molecules to suit our needs. 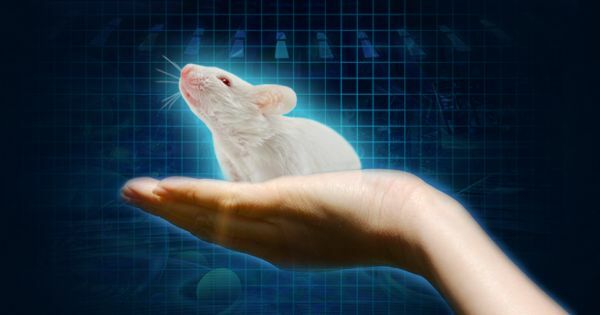 In 1974, they created genetically modified mice, improving researchers’ ability to conduct medical tests. In 1982, bacteria modified to produced insulin hit the market, eliminating the need for it to be sourced from animals. And ever since 1994, grocery stores have been carrying genetically modified crops, giving us access to longer-lasting, nutritionally superior foods. As revolutionary as all this has been, genetic engineering has traditionally been expensive, complicated, and remarkably time-consuming. Then along came CRISPR. In the late-1980s, scientists noticed little repeating segments of DNA sequences that were palindromes (the same front to back). Their existence was unusual, and they named them “clustered regularly interspaced short palindromic repeats” (CRISPR). In 2005, a microbiologist figured out that these sequences essentially did for the bacteria what our immune systems do for us: protect against pathogens. Using CRISPR, the bacteria can snip out a little piece of the pathogen that has invaded its system and store it for future reference. The next time the bacteria encountered that pathogen, it would already be prepared to defend itself. Upon further study, scientists figured out more about how the CRISPR system worked: a protein called CAS9 would make the cut in the targeted DNA after being guided directly to it by a strand of RNA. Scientists have since found CRISPR in 40 percent of sequenced bacterial genomes and 90 percent of sequenced archaea. It wasn’t until a few years ago, however, that biochemist Jennifer Doudna and microbiologist Emmanuelle Charpentier figured out that they could use this naturally occurring system as a programmable machine to modify DNA. They published their findings in 2012, and by 2013, papers were being published showing how CRISPR could be used in labs to edit genes in humans and mice. This new gene editing system was 99 percent cheaper than the existing methods of genetic modification and also much faster — an experiment that would have previously taken a year could be completed in just a week — so once scientists realized how CRISPR worked, they began finding beneficial ways of manipulating the system. They figured out how to guide the CAS9 protein to the right spot in the DNA to block a gene without cutting it, and they learned how to attach a different protein to the system to activate dormant genes. Some even figured out how to get the CAS9 protein to turn a gene on or off in response to stimuli, such as certain chemicals or light. The scientists who’ve since used CRISPR to test their theories on live animals are far from idiots, though. They’ve been smart enough to figure out how to repair the defect that causes sickle cell anemia, cut out the gene that causes HIV, and treat muscular dystrophy in live animals, all using CRISPR. While animal testing is great for the early stages of research, though, we can never know how a human is going to react to a medication or treatment until we actually test it on humans. An estimated 80 percent of potential treatments fail in people even after they yield promising results in animals. Advances in computer processing and machine learning are improving the ability of researchers to perform in silico clinical trials, but even those can’t yet compete with the real thing. However, the path from animal to human CRISPR testing has been fraught with controversy. While proponents are quick to point out all the good the system can do in helping us treat and even cure diseases, others are concerned about the possible implications, both moral and practical. A Pew research study this summer revealed that Americans are almost equally divided on whether “[gene editing] is meddling with nature and crosses a line we should not cross,” while only 36 percent thought the societal benefits of gene editing would outnumber the downsides. Most of the world’s major governments are erring on the side of caution, enacting series of rules, regulations, and even bans on how CRISPR is used. The United States government currently prohibits funding for gene-editing research in human embryos, so CRISPR researchers won’t be using any government grants for their studies (though some are receiving funds from private donors). Earlier this year, a team in the UK was granted permission to use CRISPR on human embryos, but that’s just one team, it’s only in the pursuit of fertility treatments, and the embryos had to be destroyed after testing. Even the scientific community is divided on the subject. Some scientists have called for a halt to any CRISPR testing on humans until we better understand the technology, and others warn of the dangers if it falls into the wrong hands. In fact, just this month, the President’s Council of Advisors on Science and Technology (PCAST), a group of 18 scientists and scientific policy experts from a variety of disciplines, wrote a letter urging the U.S. government to prepare now for potential future bioterrorist attacks made possible by CRISPR technology. Others scientists have argued that regulations will leave the U.S. behind countries like Sweden and China in the race to tap the potential of CRISPR, and right now, that latter group is being proven right. With one small trial on a patient suffering from an aggressive form of lung cancer, China has already made the giant leap to human CRISPR test subjects. Now, the question isn’t so much if the U.S. can win this new global race, but whether or not the country is going to let extreme caution prevent it from even entering in time to compete.